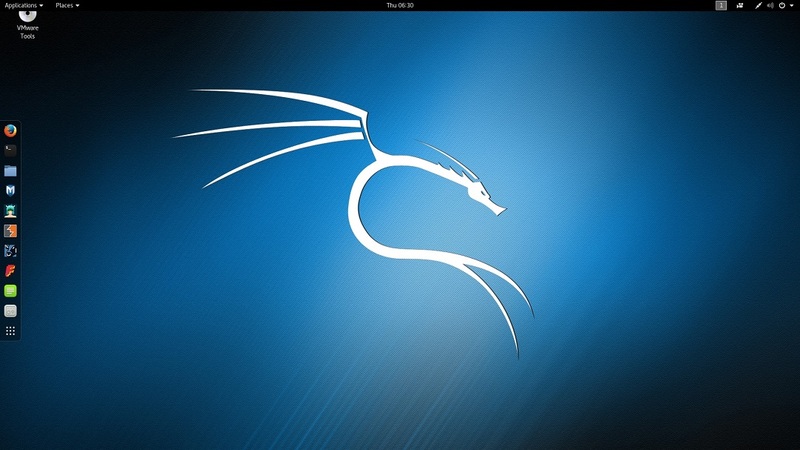 The latest version of Kali Linux 2019.1a has been released. 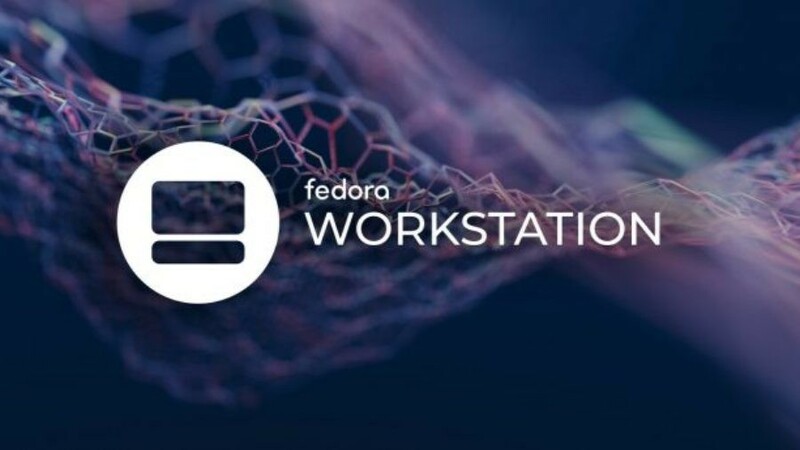 In this blog post I will show you how to install Kali Linux 2019 in VMware Workstation 15 which is the latest version of VMware Workstation. 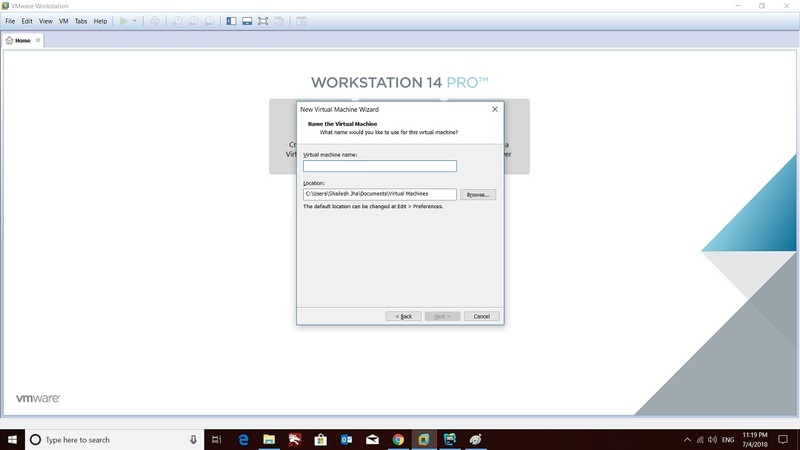 If you are using earlier versions of VMware Workstation, I recommend, you switch to the latest version of VMware Workstation which is Version 15. 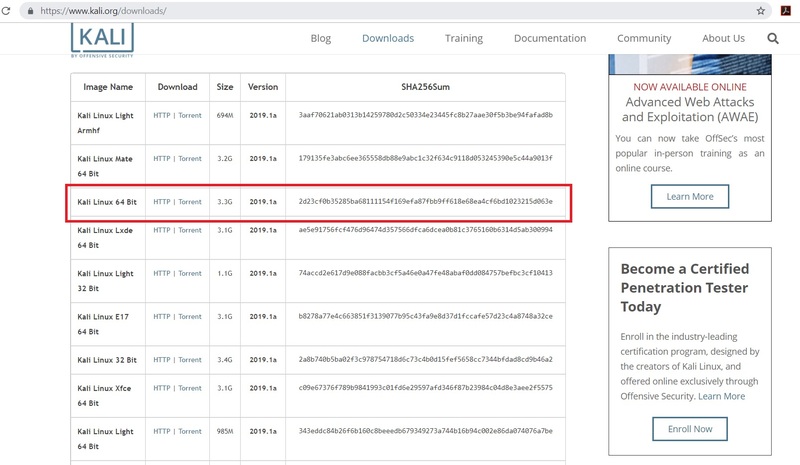 You can also install Kali Linux 2019.1a in VMware Player 15, which is free for non commercial use. 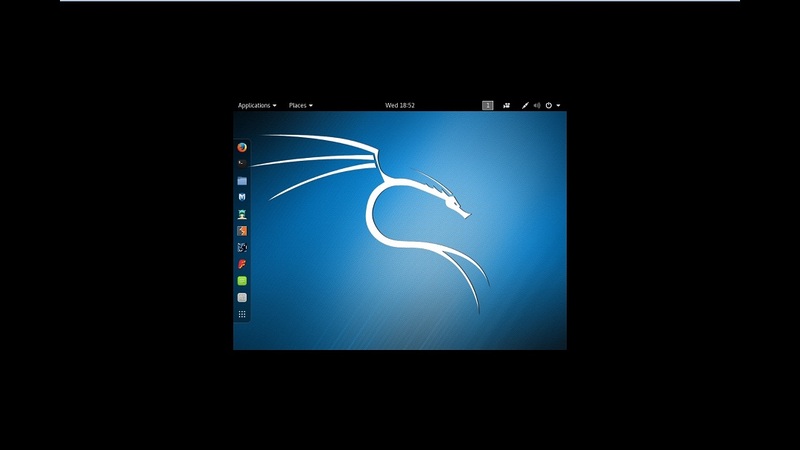 Please follow my blog to install Kali Linux 2019.1a in VMware Player 15. 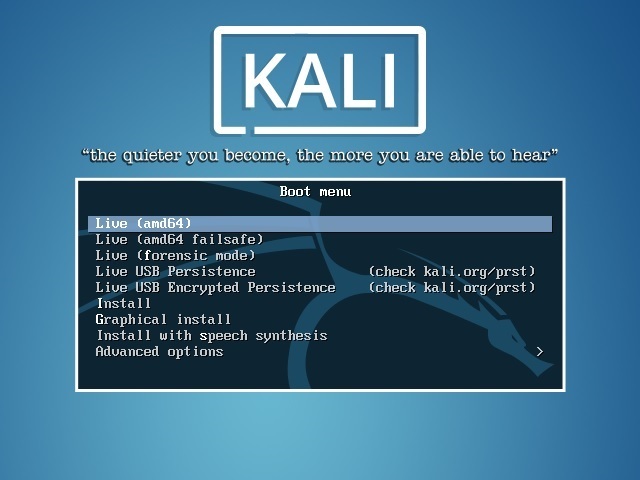 To install the Kali Linux, we will have to first get the installer ISO image file. You can get it by visiting the official download page. Please download the 64 bit or 32 bit image depending on the system you have. Dont get confused by the many options available such as Kali Linux 64 bit Mate or Kali Linux 64 bit Xfce. They are all the same except for the desktop environment. LXDE, Mate, Xfce are various open source desktop environments. I use Kali Linux 64 bit, but the choice is yours. It does not really matter. Just remember that Kali Linux 64 bit Light is the minimal distribution which will not contain all the features. You will have to install the tools you want later on. There is also an option to download the VMware image directly. But I prefer to create my own Virtual Machine which has all the tools installed, which this blog is all about. Since the file size is large, around 3.3 GB, I prefer to download via torrent because it is fast and flexible. You can find the downloaded image file in the downloads folder, if you have not changed the default settings. The filename would be something like kali-linux-2019.1a-amd64.iso. 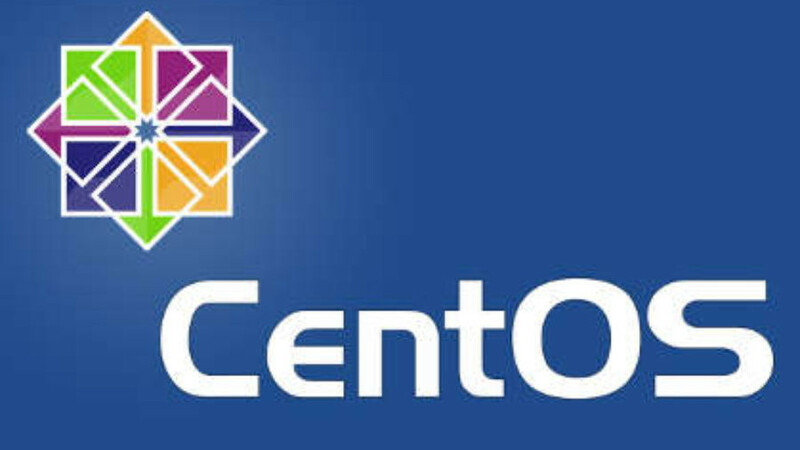 If you have downloaded through torrent, the ISO file will be downloaded in a folder, folder name would be something like kali-linux-2019-1a-amd64-iso. Open VMware Workstation from Windows Start menu or from you desktop if you have VMware Workstation icon there. 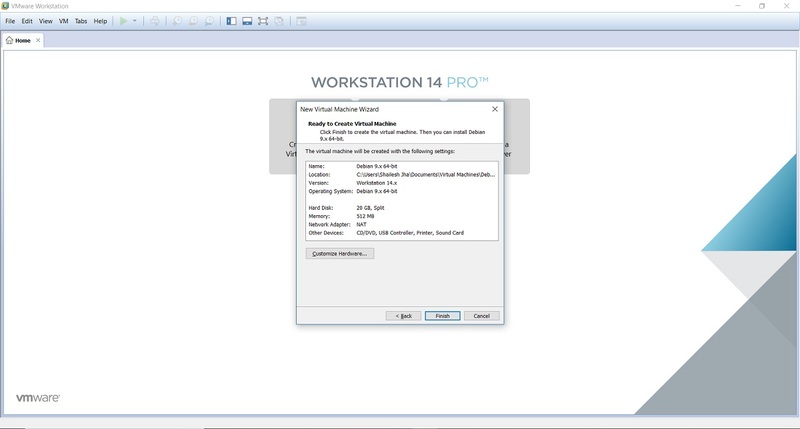 Step 4 – Launch VMware Workstation New Virtual Machine installation wizard. To launch the wizard to create a new virtual machine, Click on Create a New Virtual Machine or File -> New Virtual Machine. Welcome to the new Virtual Machine Wizard dialog box will open. Select typical and click on next. This is where you get a chance to select the way virtual machine will be created. Typical is predefined or mostly the defaults. Custom is where you get to set advanced options such as compatibility with older Virtual Machines, SCSI controller type, etc. We will go with the default options. Select Typical and click Next. In this dialog box you will have to browse to the downloaded ISO file and click next. 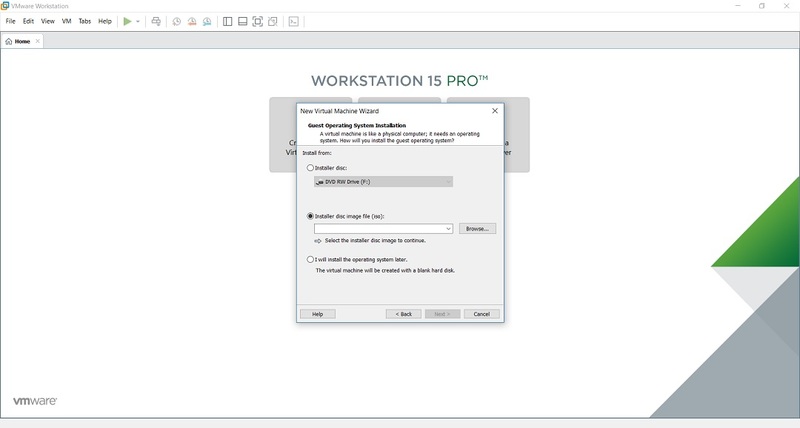 Generally, VMware Workstation detects the OS automatically and initiates what they call as the Easy Install. But in the case of Kali Linux this is not the case and you will see a warning(yellow triangle). Please ignore that and click next to continue. In this dialog box, you will be asked to select the Guest Operating System. Select Guest operating system as Linux and Version as Debian 9.x 64-bit or 32 bit depending on your system. In this dialog box, you will be asked to provide the name of the virtual machine. You can provide any name you like. You can also change the location of the virtual machine. By default it is place in the Documents/Virtual Machine folder. Leaving it as the default is also fine. This dialog box asks you to specify the disk capacity. This is the maximum amount of disk space it will utilize once the Virtual Machine is created. You can leave it to the default but if you are running low on disk space, you can reduce it to 20 GB. This is generally sufficient if you are not planning to install heavy disk using software’s such as Photoshop. Such software’s reduce the performance of your Virtual Machine if your Computer is not powerful enough. Check Split Virtual Disk into multiple files. This is the default option. Say if you specify 60 GB, all of 60 GB will not be utilized or say 60 GB will not be blocked at once. These Virtual Disks expand according to the usage with a Maximum size you specifed as the disk capacity. On a fresh install normally it takes 10 GB of space which will grow according to the software’s you install in the VM. This is the final dialog box and what you see is all the options you have selected in previous dialog boxes. Normally I increase the RAM and memory before clicking finish. This helps to finish the installation process faster. 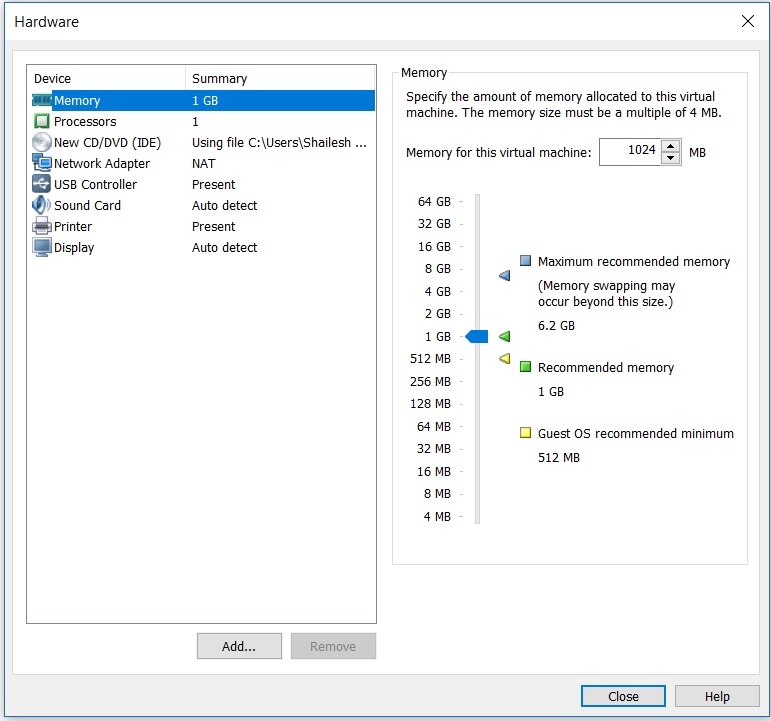 If you have sufficient RAM and CPU on your host Windows machine, I suggest even you should increase RAM and CPU. To increase the RAM, before clicking Finish, click on customize hardware. Increase the memory using the slider. To increase the CPU, Enter the values number of processors and number of cores. Click on Finish to start the installation process. Now you will have to power on the virtual machine to start the process. You can see the option to power on the VM on top left hand side. Here you will see many options. Select Graphical Install using the down arrow key and click continue. In this dialog box you will be asked to select a language. Please select a language and continue. 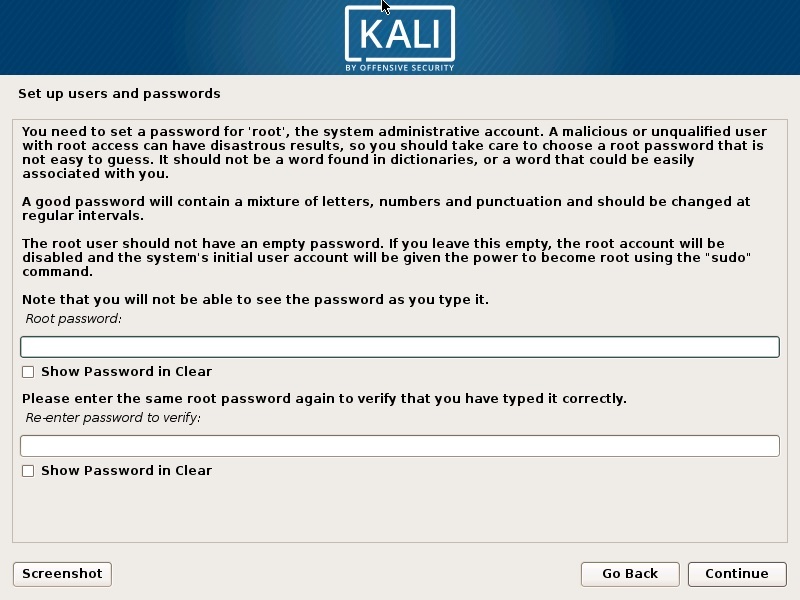 This option sets your language in the Kali Linux Operating system. Default is English. In this dialog box you will be asked to select a Location. Please select a location and continue. 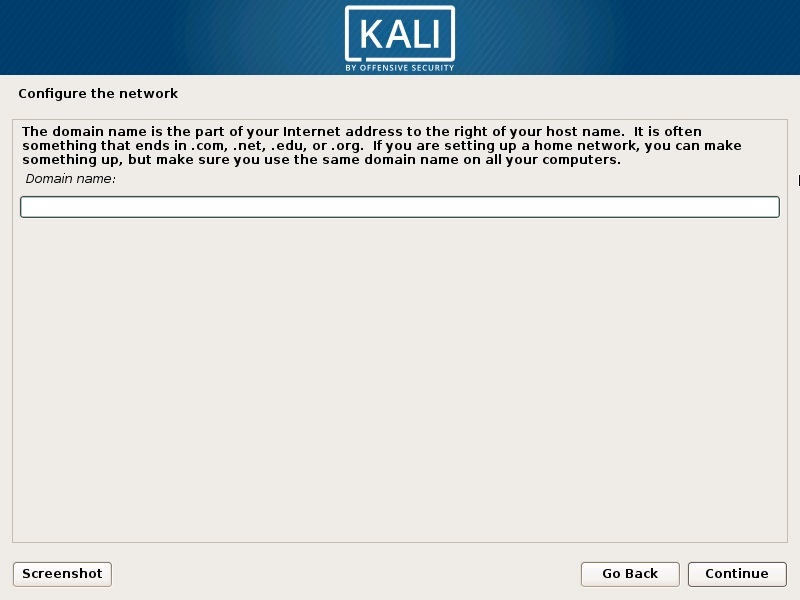 This option sets your Location in the Kali Linux Operating system. later on, you will be able to set the time zone based on the location you choose here. In this dialog box you will be asked to select the keyboard layout. Please select a Keyboard layout using the arrow keys and click continue. This option sets your Keyboard in the Kali Linux Operating system. By default it is set to American English. 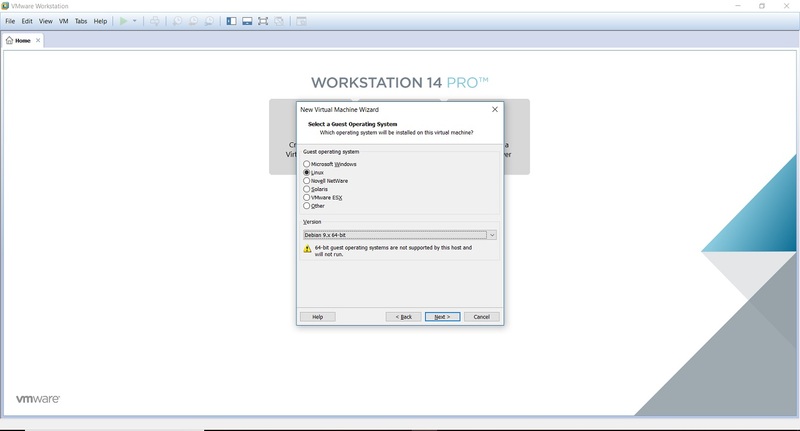 After you click continue, you will see the installation progresses for some them you see the Network Configuration dialog box, which is the next step. In this dialog box you will be asked to enter the hostname for your system. This being a home network, we can set anything. Enter any anything and click continue. In this dialog box you will be asked to enter the password for the root user account. Please enter a password of your choice and click continue. This is the password for user root with which you will login when the installation completes. In this dialog box you will be asked to time zone based on the location you selected earlier. Please enter a time zone of your choice and click continue. In this dialog box you are asked how you would like to partition your disk. Select Guided – Use entire disk and click continue. This is the default option. In this dialog box you are asked to select a disk to partition. Select sda, VMware Virtual disk. There should be only one option. Click Continue. In this dialog box you are asked to select a scheme for disk partition. Select the default, All files in one partition and click Continue. In this dialog box you are see the summary of your disk partition. Select the Finish Partitioning and Write changes to disk which should be selected by default. All you have to do is to click continue. In this dialog you are asked to confirm Write changes to disk. Select yes and click continue. Now the actual installation starts. Wait for Configure the Package Manager Dialog box to appear. In this dialog box you will ask if you wish to configure network mirror for Package manager. Choose yes and continue. You can skip this by selecting NO. But the default option Yes is better. I will go with Yes. In this dialog box you will ask if you wish to HTTP proxy. Leave it blank and click continue. Installation process will continue. Wait for sometime and let the process continue. 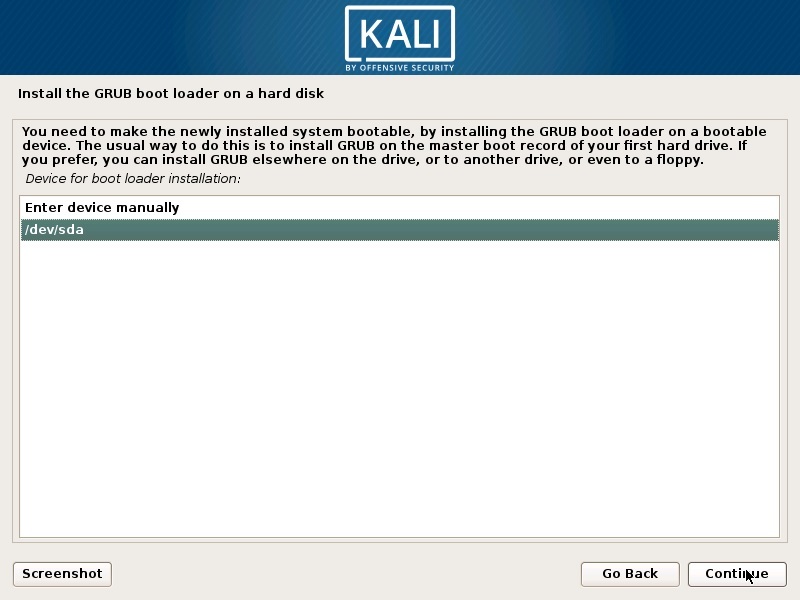 In this dialog box you will be asked if you would like to install the GRUB boot loader. Select Yes and click Continue. In this dialog box you will be asked to select boot loader device for GRUB installation. Select /dev/sda and click Continue. Installation will continue. Wait for the process to complete. Installation will continue and now you will see Installation complete dialog box. Click continue to finalize the installation and wait for the VM to reboot. After reboot you will see the login screen. 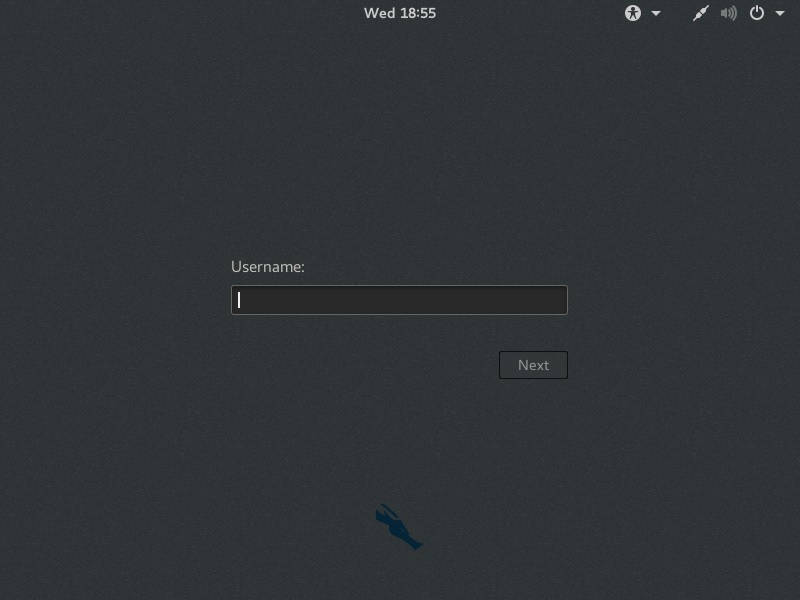 Login with your username or root user and provide your password. You will then see the Kali Linux desktop. Process will begin again. Its just finishing up the installation process and then the VM will reboot. Once the VM reboots, you will see the Kali Linux login screen. Login with username: root, Password: what you entered during the installation process earlier. After login, if you want to switch to full screen mode, you wont be able to. What you will see is the resolution of 800×600 which is the default resolution. This is because, VMware tools are not installed. Please follow the below steps to install VMware tools. After the installation and reboot, you will be able to see the desktop with resolution same as your computer. 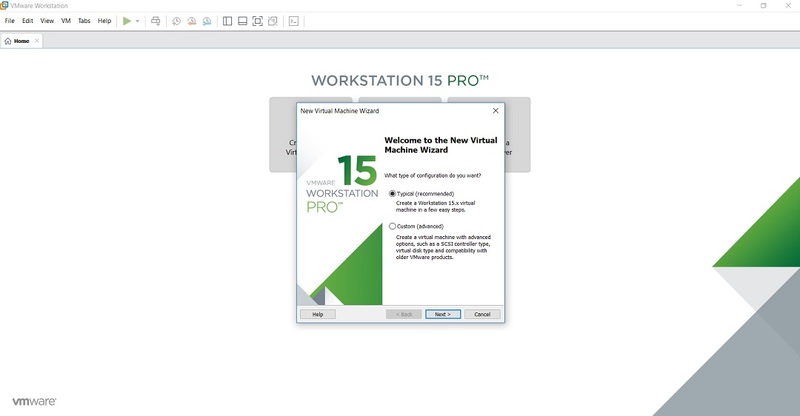 To install the VMware tools, follow the below steps. If you don’t have internet connection, you can install VMware tools directly from the VM. If you have internet connection, follow the next instruction which is easier. 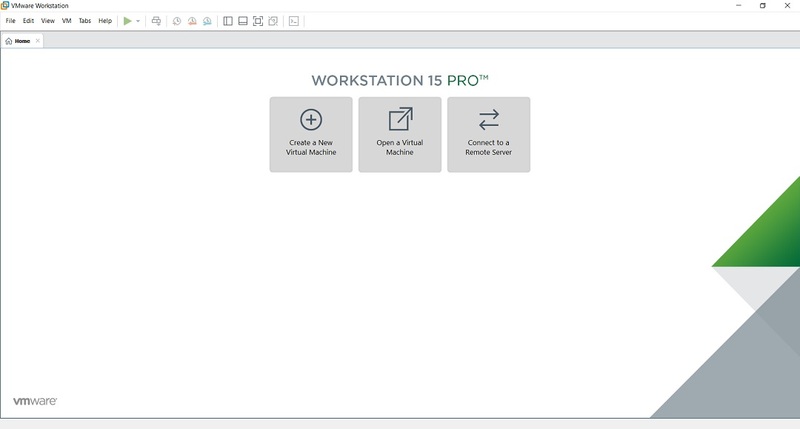 You will see VMware tools Icon on the desktop. If you don’t, then click on Places in the menu, Places->VMwre Tools. Double click to open. Copy the file with the file name something like this VMware-tools….tar.gz to the desktop. Right click on this file on the desktop and click Extract here. 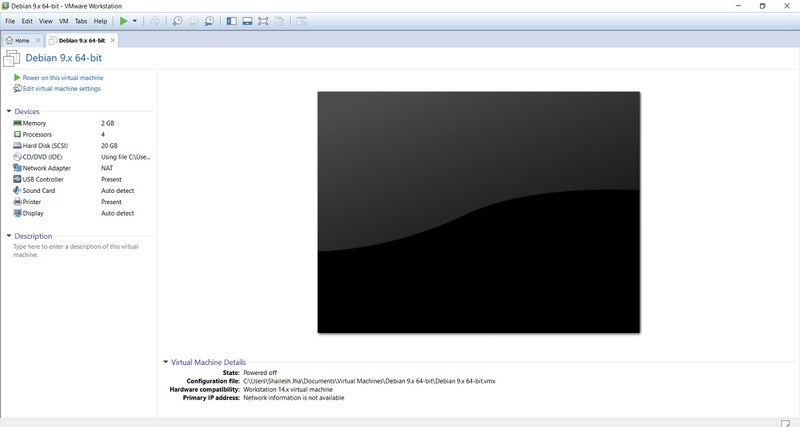 You will see that the file is extracted to the folder vmware-tools-distrib. Enter your password and press Enter. You will be asked if you want to proceed with the legacy installer. Enter Y and press Enter. Now you will be asked series of questions, just accept the default by pressing Enter for all and wait for the installation to complete. Once the system restarts, you will be prompted to login. Once you login, you can see the desktop in full screen mode which stretches up to the complete screen.
. This will show you the version number. You are done, You can start working on Kali Linux 2018. Thanks for Visiting my blog. I dont know what I enjoyed more, the tutorial or your bio paragraph. Haha. Thanks for breaking it down in a simple and easy to follow format. I have been playing arou d with Kali for a little over a month through a live usb boot and also on my android through vnc. Both have their advantages and disadvantages. Thought I would give this a shot and see if it fixes the issues I am having with the other 2 before I just go ahead and run a dual boot install on my machine. Thanks again man. Be heard but not seen. Hmm still having window scaling issues after installing vmware tools. Was able to scale/Drag the guest window to whatever size, now after the dist upgrade it can only be set in the system display settings. Anyone have a fix plx respond. i installed it but there was no username and password tab…so after installation i can’t sign in. what should i do? This host supports Intel VT-x, but Intel VT-x is disabled. 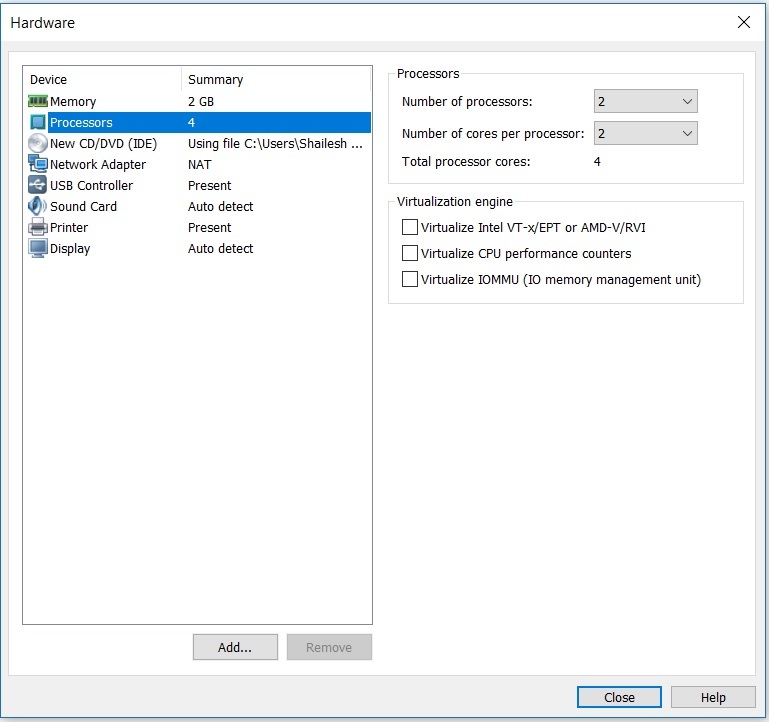 Intel VT-x might be disabled if it has been disabled in the BIOS/firmware settings or the host has not been power-cycled since changing this setting. (2) Power-cycle the host if either of these BIOS/firmware settings have been changed. (3) Power-cycle the host if you have not done so since installing VMware Workstation. (4) Update the host’s BIOS/firmware to the latest version. This host does not support “Intel EPT” hardware assisted MMU virtualization. Module ‘CPUIDEarly’ power on failed. Looks like Intel VT-x is disabled in BIOS. Follow my post on how to enable it. Intel VT is required for 64 bit OS. You can try to download 32 bit version of Kali Linux instead of 64 bit. 32 Bit Kali should work fine. But first try to enable Intel VT and see what happens. How can I do it without having to remove the Kali or the VMWare. I am sure there is a line of code I can use to upggrade. Use the command as the root user. Kali will upgrade to the latest version. 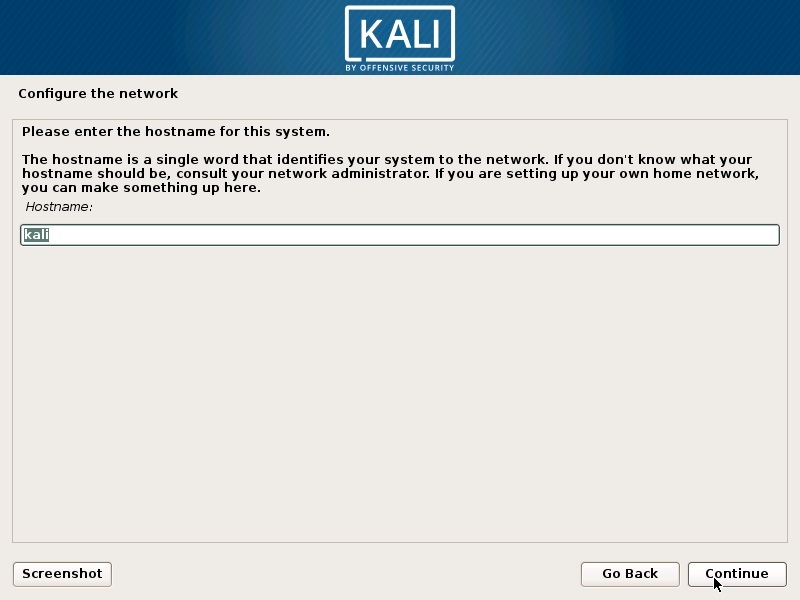 I follwed all the instructions on your blog as regards installing Kali Linux. I installed Kali-linux-2017.3-amd64 on VMWare Workstation 14 Player. The tools do not open when I try to launch them. Could you advise of what I can do to resolve this error? I am not sure about the exact cause. Something is eating your memory and system is running out of it. How much memory did you allocate while turning on the Kali VM. Can you increase it to 2GB and try again. Have you enabled Inter VT in your system? Try that and let me know how it goes. i have vmware 9and windoes 7 32bit os …and when i set a password while installing kali-linux-light-2017.2-i386 at the last step of installation again a pop up windows appear asking for username and password but error is occuring saying that wrong password..
VMware 9 is too old. Start using VMware 14, the latest one. Try to login as user root and password you set during installation. if you have forgotten the password, you will have to start the process again. I installed the VM after the login page with correct credentials given i get a black screen. what would be the problem? I tried to install Kali Linux as u said. I followed the steps exactly. I got an error showing GURB boot loader is not installing. Please give any solution. After i installed kali linux i couldn’t install any softwares. i am getting errors on every time. i guess repository file content are wrong because while run this cmd “apt-get update” some url’s are not connecting and also getting error. so kindly help me to resolve these problem . And, I need some guidelines to use kali linux. Are you connecting to Kali Linux using wifi or Cable. WiFi can be a problem some times. Connect through cable and check the internet connection in Kali. Open the browser and open some page to see if it loads. Lets check if you have the repository correctly setup. Vi editor will open up and show you the contents of the file sources.list. Do you see this entry or is it blank? Now try to run apt-get update. It should update. 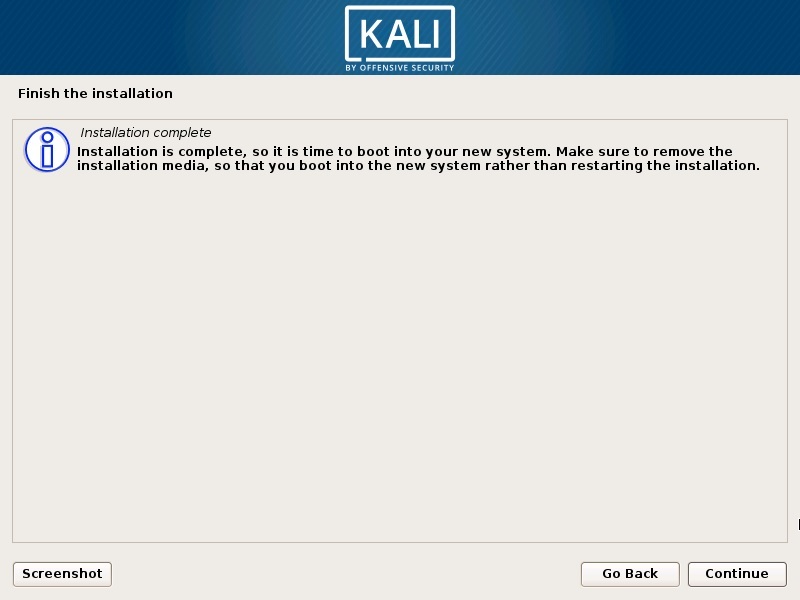 Thank you, really appreciated for the detailed step by step tutorial on Kali OS Installation process _/\_ _/\_. how to fix load installer components from cd ..
Great tutorial, I enjoyed it and everything is running fine! Great tutorial very helpfull ! Thanks a lot!